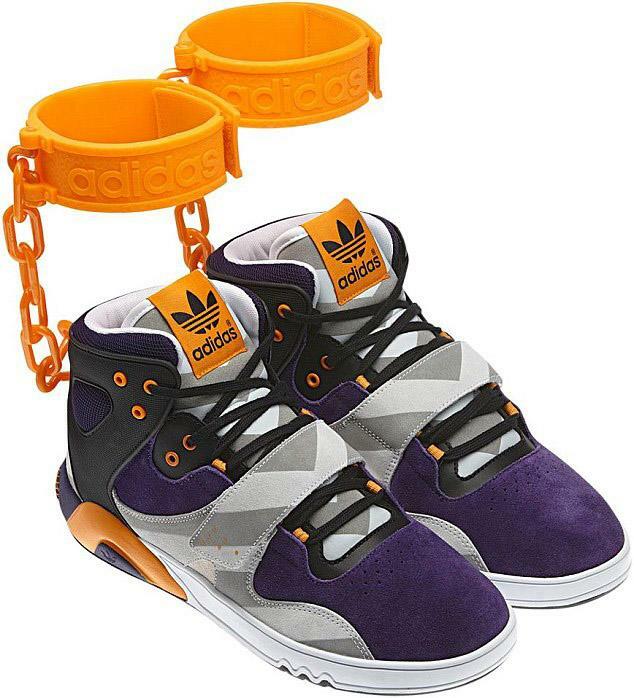 The interweb was set ablaze this week with a heated debate surrounding a pair of Adidas training shoes with a shackle-like ankle cuff. The JS Roundhouse Mid was was made in collaboration with designer Jeremy Scott and was criticised for resembling a symbol of slavery. Today, the Sportswear manufacturer has confirmed that they will not sell the shoe, saying in a statement that it 'is nothing more than the designer Jeremy Scott's outrageous and unique take on fashion and has nothing to do with slavery'.